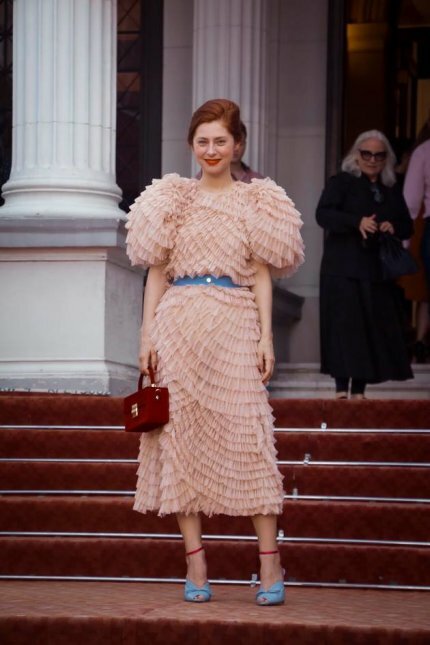 Croatian acting diva and style icon Judita Frankovic Brdar caught everybody’s eye when she appeared in front of the reporters at Sarajevo Film Festival this August. Charismatic actress stepped onto the red carpet in Lei Lou total look, wearing the Beatrix dress (fall/winter 2018/2019 collection) and Sura sandals from the latest spring/summer collection. Talented Judita was also a member of this years’ jury of the official Competition Programme of SFF.